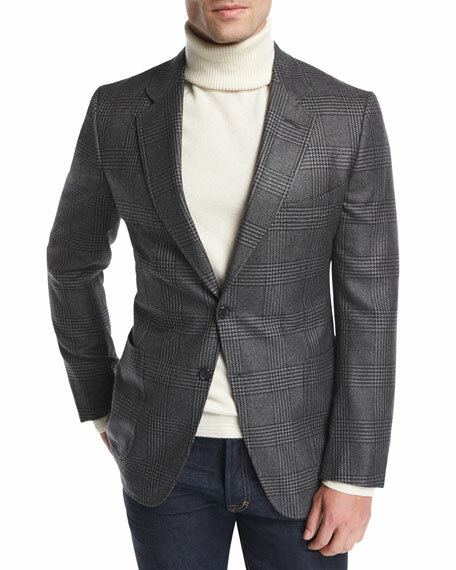 TOM FORD "O'Connor" cardigan jacket in glen plaid. Notched lapel; hand-finished, double-stitched silk button hole. Front patch pockets; hand-cut chest welt pocket. Jacket will ship with prepped sleeves and a set of buttons. Please contact your local Neiman Marcus store for proper finishing of your garment. Alexander McQueen jacket in pinstripes. Notched collar; two-button front. Four button cuffs. Flap pockets at hips. Cutaway hem. Virgin wool. Alexander McQueen jacket in pinstripes. Notched collar; two-button front. Four button cuffs. Flap pockets at hips. Cutaway hem. Virgin wool. Dry clean. Made in Italy. 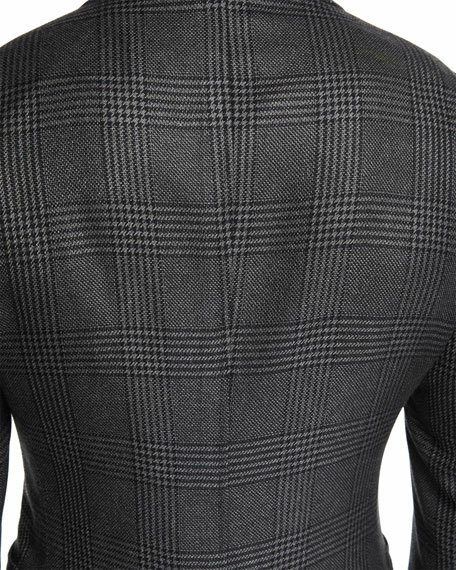 BOSS Hugo Boss sport coat in large windowpane plaid. Notch lapel; two-button front. Four-button sleeve finish. Chest welt pocket. Side flap pockets. Virgin wool/cotton. Made in Italy of imported materials. 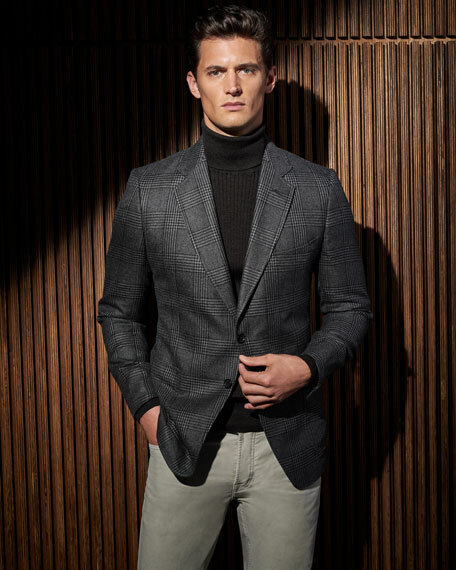 Model's measurements: Height, 6'1"/185cm, waist 31"/79cm, suit 40, shirt 15.5x35, inseam 32"/81cm. 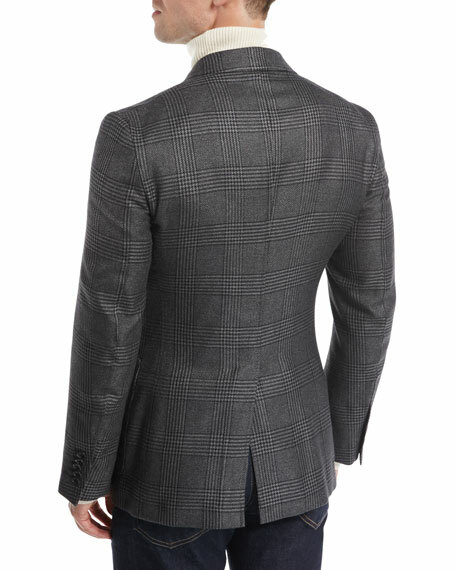 Ermenegildo Zegna "Milano" plaid jacket, half lined. Notch lapel; three-button front. Four-button detail at cuffs. Front patch pockets; chest welt pocket. Double-vented back. Wool/silk/linen. Made in Switzerland of Italian material. Model's measurements: Height, 6'2"/188cm, Suit 38L, Shirt 15.5x35, Waist 32"/81cm, Inseam 33"/84cm.